Our ‘Bile Beans‘ sign is now well-known. There are other painted signs on walls around the city, and I thought I’d round up the ones not already mentioned while revisiting others. 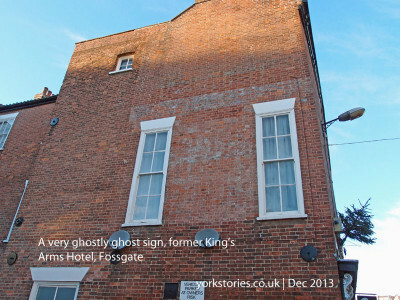 This page has also been prompted by a comment left on my first ‘ghost signs’ page, many years ago. 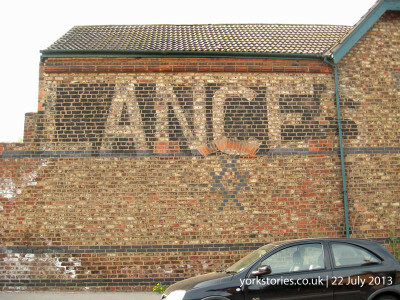 I thought this sign, on Navigation Road, was for a company called Lances. As that comment points out, it actually read ‘AMBULANCES’. Part of the wall it was on has been reduced in height. The bottom of the U is just visible still. In more recent memory it has been the boundary of a builder’s yard, full of stacks of bricks and the like. LANCES sounded like the kind of name such a business might have. But no, it was an ambulance depot. Do add a comment if you remember this or can add any further information. 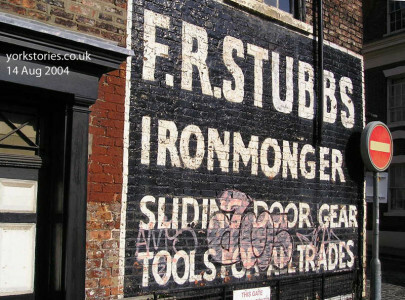 Leaving Navigation Road, turning right up Walmgate, then reaching Fossgate, on the corner where it meets Merchantgate is our most decorated ‘ghost signs’ building: Loch Fyne, formerly Stubbs the ironmongers. This is one of the Stubbs signs, a rather hurried snapshot taken in 2004. This sign was repainted, as were many of the others, when the building was redeveloped as the restaurant with apartments above. Not far away from that frontage, just over the little hump of Foss Bridge, is a ghost sign you’d never know was ever a sign, it’s so ghostly. I know it was only because of images in the city archives I chanced upon recently. 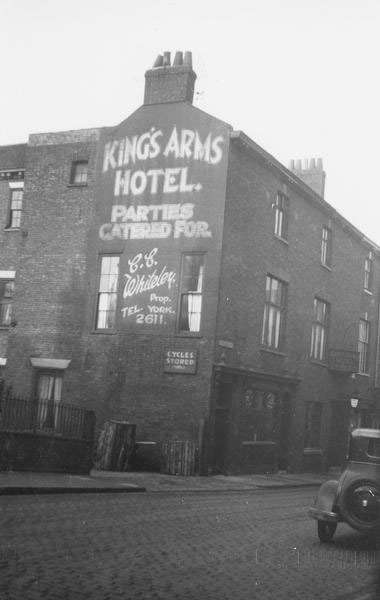 It used to be the King’s Arms Hotel. Here’s another image of the hand-painted advertising it once displayed, from a little earlier – about 1920 according to the archives information. Retracing our steps back over the bridge and to the corner, past Stubbs/Loch Fyne, turning right along Merchantgate, then left into Piccadilly, there’s a reminder of this street’s many garages. The most obvious word is TRIDENT, which has been painted over the word GARAGE. 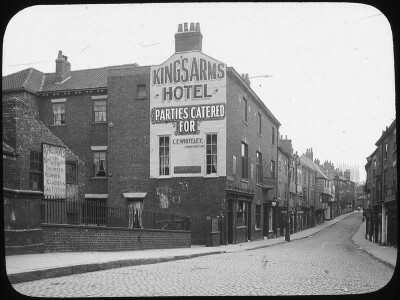 Again the city archives have an image of the building when it had that use, in the mid-20th century. 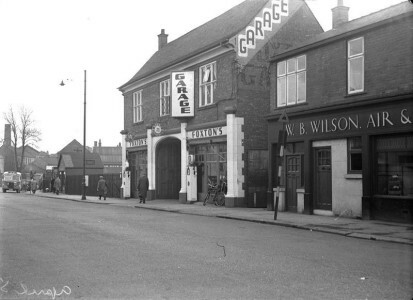 The now faded and overpainted sign for GARAGE was bright then, and partly covered an earlier sign taking up a larger area of wall. This fading reminder of an era when the car was king will be gone soon as the area is to be cleared and redeveloped. So thank you to my companion who noticed it on our Christmas afternoon wander, as I have to confess I’d never noticed it before. So let’s leave this area and its ghost signs with another fine example from the days when these things were everywhere. 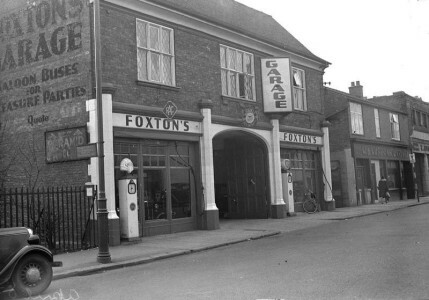 The other side of the Foxton’s garage building, with its gable end covered in skilfully applied lettering, advertising FOXTON’S GARAGE in confident capitals, and saloon buses for pleasure parties. 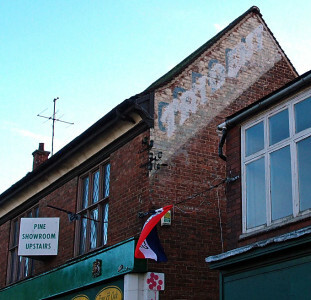 See also, part 2: Ghost signs collection: within the walls /2. The only place you need to go for more information is Sam’s website on ghost signs. Please do visit, preferably via this link to a page on his site which says nice things about me. A great collection and fantastic to see the archival images for comparison. Thanks for bringing this all together, I really do need to visit soon!